Bath & Body Works Full Size Lotions $3 each today only! 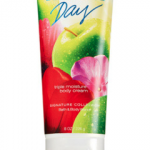 You are here: Home / online shopping / Bath & Body Works Full Size Lotions $3 each today only! *This post contains affiliate links. Please refer to my disclosure policy. Bath & Body Works has a HOT promotion today only! Their Signature Collection full size body lotions are just $3 each!! This offer is available in store and online! These make great teacher gifts and neighbor gifts!! I always stock up for myself, too! Enter the code BBWNOV15 at check-out to save 15%! 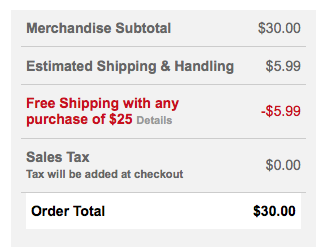 Shipping is a flat rate of $5.99. 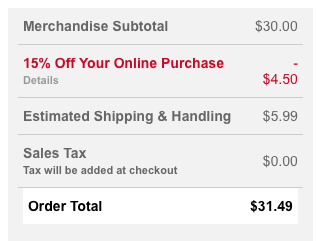 If you buy 10, you’ll pay just $31.49 shipped, which is just $1.49 more than you would pay in stores (and probably less if you factor in gas) and you get to shop from home in your PJs! 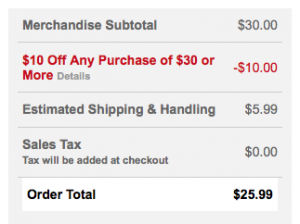 UPDATE: Thanks to Heather for sharing that you can get FREE SHIPPING with the code BELIEVEIT when you spend $25+! Now you REALLY don’t have to go to the store!!! What are YOUR favorite Bath & Body Works scents? If you haven’t checked out Beautiful Day yet, I HIGHLY recommend it! Bath & Body Works Cyber Monday Deals! Bath & Body Works Hand Soaps just $2 each shipped! Bath Body Works: 6 full size Signature collection items for just $21.50! Bath & Body Works Semi Annual Sale & $4 Body Cream! Bath & Body Works Black Friday sale ends TODAY! 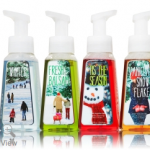 Bath & Body Works hand soaps as low as $.95 each shipped!